Exchange Rates | Sack the Budget - Ibiza Luxe! Sack the Budget - Ibiza Luxe! With exchange rates from Pounds Sterling to Euros stronger than they have been for over a year, there has never been a better time to make your money go further on a holiday to Europe. Of course, this doesn't necessarily mean that you have to now go crazy whilst abroad and spend a small fortune, but if you wanted to… where better to do it than Ibiza? 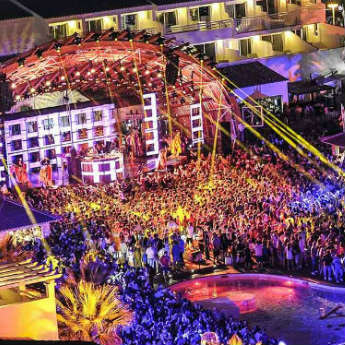 The White Isle, with its beautiful people and extravagant lifestyle, has long since attracted the rich and famous to its shores for week-long holidays filled with hedonistic party madness! You too could enjoy a taste of their lifestyle…if you’re prepared to sack the budget! If you’re going to go all out, it seems only right that you stay at the biggest, swankiest hotel you can find. 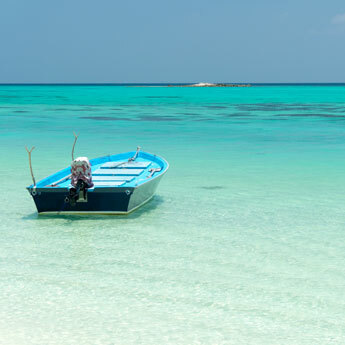 There are a number of top notch 5* resorts on the island, with more opening each season. 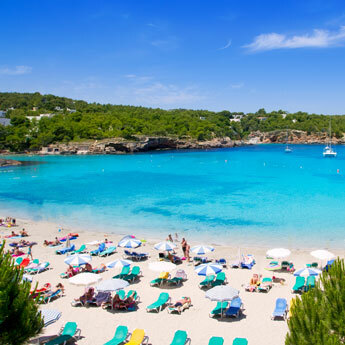 Santa Eulalia is a popular resort among the affluent, but if you still want to be in the heart of the action, Playa D’en Bossa is the place to be. 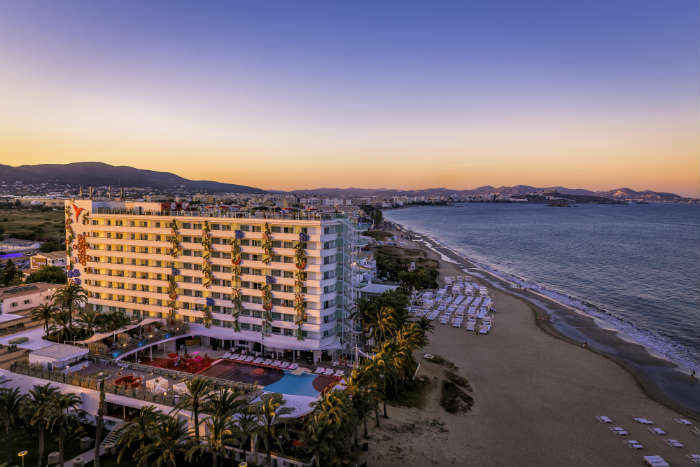 Home of the legendary Ushuaia beach complex, the incomparably stylish Grand Palladium Palace and Europe’s one and only Hard Rock Hotel, check yourself into one of these heavenly hotels and enjoy unparalleled luxury, combined with some of Playa D’en Bossa’s best entertainment programmes. I'll be in the tee-pee. The rich and famous do not suffer uncomfortable plastic sun loungers and fragile garish parasols whilst having sand invade crevices on the body where sand should never be found; the young and beautiful (and filthy rich) swank up their beach experience by booking themselves into an exclusive beach club. Nikki Beach Club in Santa Eulalia is Ibiza’s answer to all your VIP needs. Cabanas, double-bed style sun loungers, a sophisticated champagne cocktail bar and the Nikki Beach signature tee-pee's surround a crystal clear swimming pool, overlooking the sparkling Mediterranean. At Nikki Beach, you can really get a feel for how the other half live. Marty McFly had his time-travelling DeLorean, James Bond had his (numerous) Aston Martin’s, you can have…pretty much anything you like! 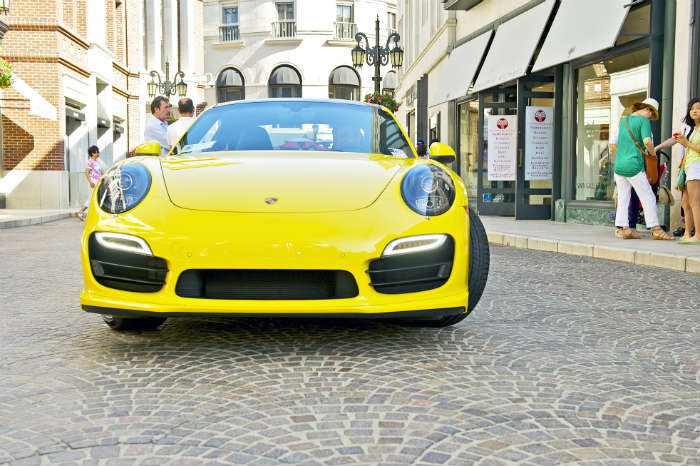 Luxury car rental is becoming big business in Ibiza. Forget your Fiat Panda, why opt for cheap when you can have chic! Cruise around the island in style driving the super car of your childhood dreams, just remember to watch out for those speed limits! As a rule, when trying to save money travelling abroad, many holidaymakers choose to go all-inclusive and benefit from pre-paid meals (and alcohol!) in their hotels. However, as you are now in the mind-set of a mega star why would you go all inclusive?! There is a wealth of superb independent restaurants scattered across Ibiza boasting cuisine from every corner of the globe. Sa Capella restaurant, set inside a converted church, is the best spot in San Antonio for authentic Spanish cooking, or for a fine-dining Mediterranean experience head to Sa Punta on Talamanca Bay which affords fabulous views across the water to the historic old town of Dalt Vila. Although not quite in the same league as some of the world’s fashion capitals, Ibiza has its own unique sense of style which fashion houses have been trying to emanate for years. 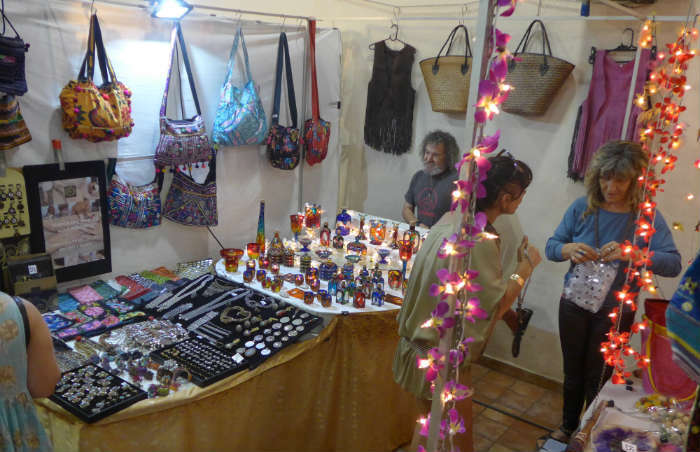 Backstreet boutiques peddling the effortless, hippy-inspired clothes and jewellery native to the White Isle are often found nestled side by side with big label designer outlets. Ibiza Town is the place to be if you want to exercise your credit card on a no-holding-back shopping spree. Just make sure you have someone on hand to help you carry all those bags! By Leanne Tonks – Champagne lifestyle, Lemonade budget Marketing Intern.